For technology experts, architects, consultants, and other providers of higher education solutions, improving learning outcomes is the new mission of higher education. To position students for success in a workplace of the future, learning spaces are being designed to support peer-to-peer, collaborative, experiential, visual, service-oriented, and value-based pedagogies. How are colleges and universities using technology to help students, staff, and faculty have a richer learning/teaching experience? 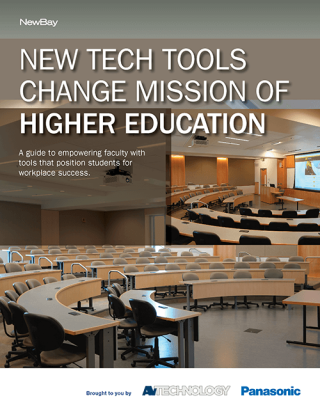 Click here to download the full white paper: New Tech Tools Change Mission of Higher Education.